From the current close-up repertory of Cristóbal, this is the final routine with the Haunted Key. A demonstration of energy work or a bizarre effect of possession, you choose. The perfect Halloween effect. Use with caution: spectators will freak out. This is not for the hobbyist, but it's an easy effect to perform if you have experience with this kind of techniques. 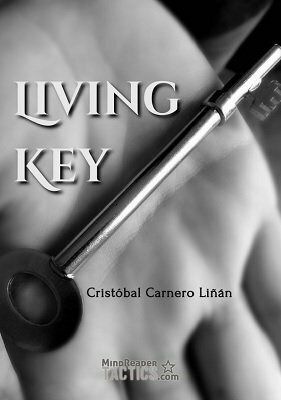 You give the key to a spectator who can feel how the key comes to life with his own energy. Finally the mentalist proves how the spectator and the key are now connected. 1st edition 2014, 14 pages.